As an American kid growing up in the ’80s, there were a few foods that you came to enjoy and really appreciate. These are the items that you probably learned to cook early on, and that are now “comfort food” for you as you deal with life in your mid 30’s. One of those foods for me is Macaroni and Cheese. 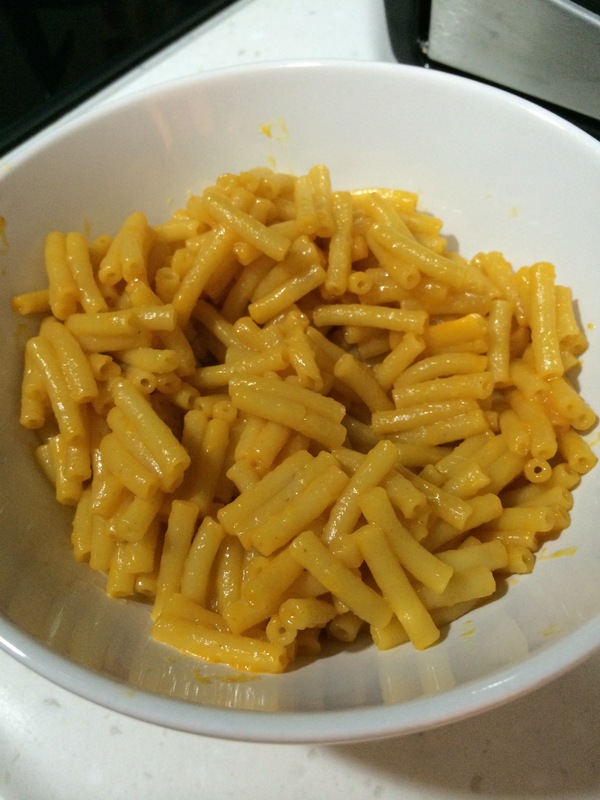 When I say Mac and Cheese, I mean from-the-box-not-gourmet. 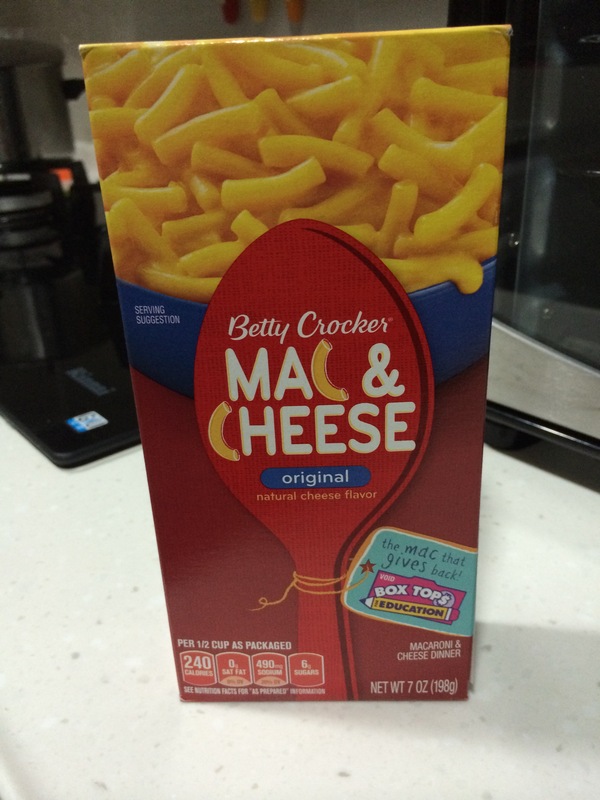 That’s right, the kind that has a pack of cheese powder marked “original flavor,” where you mix it with a little butter, some milk, and the pasta in the box, and you end up with a meal. So you can imagine my happiness last week when I came across the above box in our neighborhood supermarket. My wife had never had macaroni and cheese, so she was interested in trying it, and I loved macaroni and cheese growing up, so of course I was pumped to share a taste of my childhood with her.